This book provides an introduction to core concepts in sociology. Accessibly written chapters illustrate the history and practice of sociological work. Recent areas of social science inquiry, e.g., globalization and the Internet are also covered. There are profiles of more than 70 notable sociologists. In addition, there is information on training and working as a sociologist. 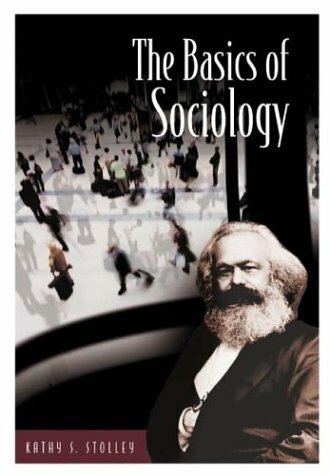 This book provides an introduction to core conepts in sociology. Written in a readable, accessible style, it uses a mix of both classic studies and current references to illustrate sociological concepts and to underscore their continuing relevance. It examines what sociology is, why sociology is important, and why we study it. It demonstrates how various social forces impact our lives and form our social experiences explaining that, when we understand these forces, we can better make sense of the world around us, better understand ourselves, and better participate in shaping the future for ourselves and for others. The book extends traditional applications of these core concepts by focusing on their application to globalization and the Internet. A series of biographical profiles highlight the careers of more than 70 notable sociologists as well as others, who have contributed to the field. There is a chapter devoted to careers in sociology. Each chapter has a list of additional print and nonprint resources. About Kathy S. Stolley (Author) : Kathy S. Stolley is a published author. Published credits of Kathy S. Stolley include The Basics of Sociology (Basics of the Social Sciences).